UPDATE 14.10.2018 – It’s official, Google + is closing doors. We will no longer buy/sell anything related to Google +. The following information on this page is no longer valid, and we’re only leaving this info up for historical reasons. For more information on why Google+ no longer exists, click here. G+ has over 150 million active users, and 50% of its users are logging into the network daily. Google Plus is a social network you just can’t ignore. While it isn’t as popular as Facebook or Instagram, it can help by building up your company profile, as you can share content and news about your business. Google Plus Pages provide an easy way to drive more traffic, and more traffic translates into leads and sales. Think purchasing Google Plus Page influence is right for you? Then please give us a try! Just submit the form below, and one of our staff members will get in touch with you shortly (4-12 hours). Make sure to read this page before you continue. Tell us about yourself & the type of Google Plus page you need, it may speed up the approval process. READY TO BUY GOOGLE PLUS INFLUENCE? Never heard of Google Plus Pages before? They work exactly like Facebook Fanpages, but have much better reach, making them more valuable to marketers. See their G+ wiki page for more information. If this is your first time here, make sure to read our Terms of Service. How much is Google Plus influence worth? Since the price greatly depends on many factors, there is no set price list we can show you. Prices vary by a wide margin, they can range from $50 to $5,000 USD. Even though they offer better reach than Facebook Fanpages they’re not worth as much, due to the smaller user base. 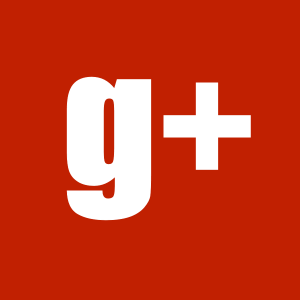 Can I see a list of Google Plus pages you manage? No. Our company doesn’t provide any lists, as we connect companies to influencers as soon as we obtain a willing publisher. We flip them as we get them, so we really have no say in the topic/activity/size. Only long-time clients have the option to request a property within their niche. To find out more about how we operate, please read this page. Why do I have to wait so long to purchase Google Plus influence? We have tons of buyers but very little sellers, so we always run into demand versus supply issues. To keep our current pool of buyers happy, we limit new memberships. Wait times range from one to four weeks. Are Google Plus pages a good source of traffic? Google Plus pages are an excellent source of traffic, providing that you own a page in the same niche as your website. Are there any other benefits to Google + pages? Is ViralAccounts.com affiliated with Google? ViralAccounts.com is not affiliated with Google or any other companies mentioned on this page. All product names, logos, and brands are the property of their respective owners. All product and service names used on this website are for identification purposes only. Use of these names, logos, and brands does not imply endorsement. ViralAccounts.com does not store or own any Google + pages, our company simply acts as a mediator between the willing buyers and sellers. Do you still have questions? Visit our FAQ or contact our support. If you’re ready to start buying, please start here.